Well last week I was really lucky to be asked to review some GU Puddings! 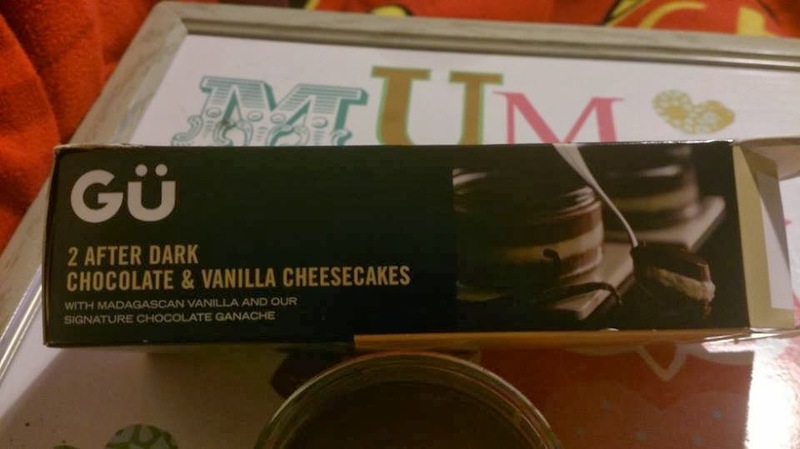 I had 4 to review but I have the 2 different cheesecakes here for you to read about first. The first cheesecake I got to try was this After dark chocolate and Vanilla cheesecake and I can confirm it was delicious! 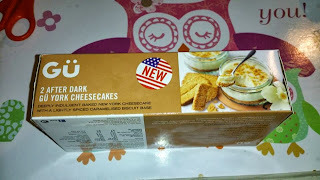 These cheesecake retail at around £3.59 so a little pricey but they really are delicious. The base is a crumbly chocolate biscuit base, a Madagascan vanilla cream cheese in the middle and then the GU signature chocolate ganache on top! The pots are quite tiny (90g each) and at first glance you think your going to be wanting 2 or 3 however you will soon discover this is not the case! They are so chocolaty I think you really would struggle to eat more than 1. As I said above at £3.59 for 2 these are a little pricey but they would be great if you fancied something a little special maybe for a date night with your other half or if you were having friends round for food. 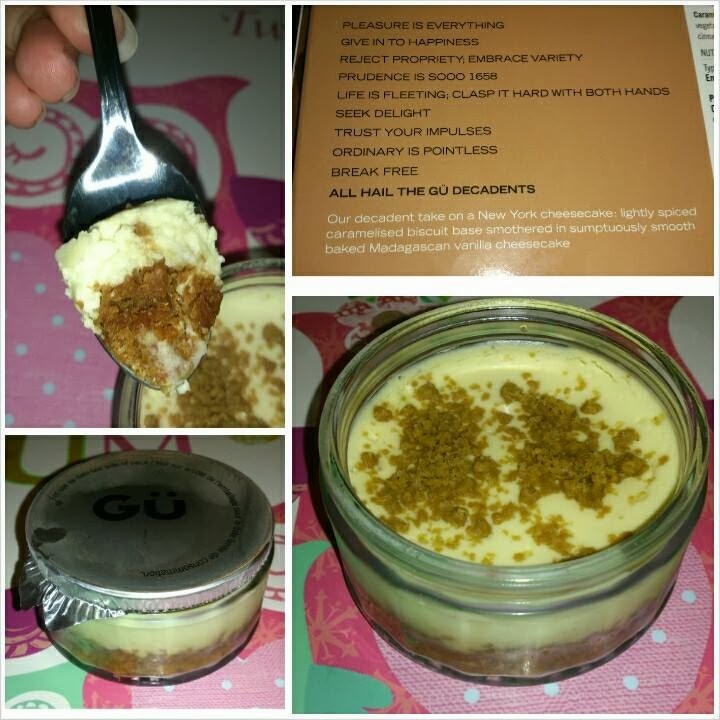 Next up we tried the After dark GU York cheesecakes. These were also delicious and personally my favourite! These cheesecakes consist of a indulgent baked New York cheesecake with a lightly spiced caramelised biscuit base. The base really stood out with these ones and it really gave a lovely flavour against the smooth creamy cheesecake topping. Again these retail at around £3.59 for 2 and are 80g but they really are worth splashing out on if your looking for something a little bit special! The puddings all come in glass ramekins and these can be washed and kept after and make great little bots to keep sauces and condiments in or if you like baking these could be used again to bake another yummy treat! 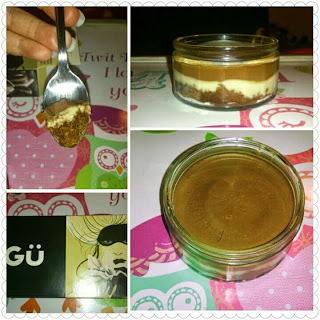 You can buy these puddings and many more flavours from GU from most supermarkets. 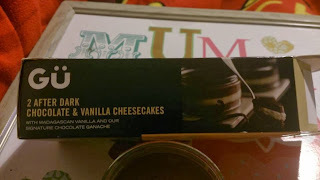 I'm a huge fan of cheesecake, the after dark chocolate and vanilla sounds amazing!!! I am a Cheesecake freak! LOL! Both of these flavours sound amazing! :D YUM! I love cheesecake and would think that having it in pudding form would just be amazing. Sounds totally delicious!